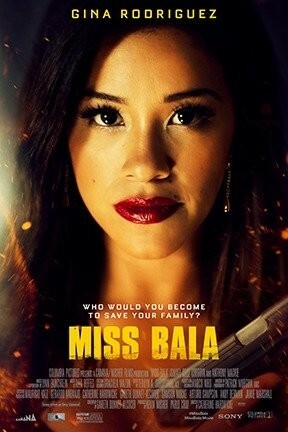 To whom can we attribute the meager success of Miss Bala, the wholly Americanized remake of the fine 2011 Mexican crime drama? It might be director Catherine Hardwicke, who does a decent job nudging along a shaky plot involving Gloria, a young Mexican-American played by Gina Rodriguez (AKA Jane the virgin from Jane the Virgin) who, through sheer dumb happenstance, winds up doing menial, dangerous work for a Tijuana drug cartel. We could also point to Gareth Dunnett-Alcocer’s script, which flimsily and serviceably papers over plot holes and major changes to the original story.